Formula-Won-Group-Coaching - Success Activators -Get a MINDSMART GO-Mindset! Why enter a RACE to come SECOND, When We can ENSURE SUCCESS! Come Along and Tune-up Your Soul Surgery Success Ensurance "Ferrari"
A Mindset "Rewire-to-onfire" program designed to coach, guide, Mentor, ACTIVATE and inspire SWIFT Action to support you to Rethink, Rewire and Refocus a Growth Oriented, Success Ensuring, Mindset. This new GO-Mindset creates SWIFT Actions and massive REAL Results through Fiercely focusing on ENDS Goals. Whether you are employed, self employed, Entrepreneur, Consultant, Coach, Leader or boss; this Action Learning Process will shift your thinking, reprogram your mindset, and move you to a new level of consciousness, clarity and fierce focus on TRUE success. 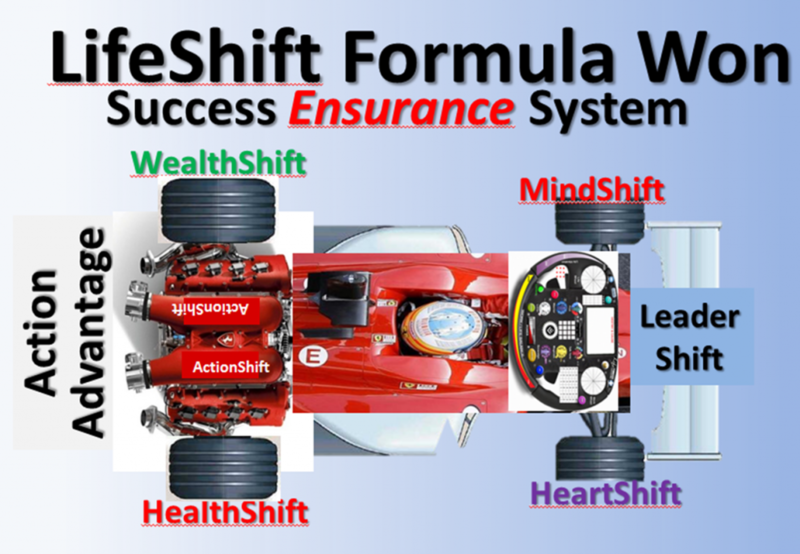 The LifeShift Formula Won Success Ensurance System will help you Rethink Success, become clear on your destiny, fiercly focused and highly disciplined with SWIFT Action to ENSURE your SUCCESS in every area of your life.